London, The Arab Weekly – Prevent, a controversial British government anti-terrorism programme, appears to be failing to engage the Muslim com­munity, which is largely ignoring it, with some boycotting the initiative amid claims it alienates Muslims and could push some down the path of terrorism. Prevent, one element of a four-part government counterterrorism strategy, aims to respond to the ide­ological challenge posed by terror­ism and extremism, providing prac­tical assistance to people deemed at risk of radicalisation. Some form of the programme has been in force in the United Kingdom since 2007, although Prime Minister David Cameron’s government has significantly beefed it up. This cul­minated with the Prevent Duty go­ing into effect July 1, 2015, which made it legally incumbent on key bodies, including schools, universi­ties and hospitals, to “recognise and respond” to any “signs of radicalisa­tion”. “Prevent is about protecting those who might be vulnerable to the poi­sonous and pernicious influence of radicalisation… We must work with the overwhelming majority of Brit­ish people who abhor the twisted narrative that has seduced some of our people,” UK Security Minister John Hayes said. But with no lower age limit for those who can be referred to the programme and questions about what “signs of radicalisation” teach­ers and others are supposed to be on the lookout for, many Muslim and non-Muslim organisations, includ­ing the National Union of Teachers and National Union of Students, ex­pressed reservations about Prevent. Mosques and Muslim associa­tions have reacted with suspicion towards the programme, warning it could increase the sense of isolation and alienation felt by some Muslims and make it more likely they would be radicalised. “It [Prevent] contains the implicit assumption that Muslims are less able to function in an open democ­racy than other people, more sus­ceptible to totalitarian impulses and that they are more open to be incit­ed to violence. It sends a very nega­tive message to the community and is likely to increase Islamophobia,” former Muslim Council of Britain Secretary-General Farooq Murad said in 2011. 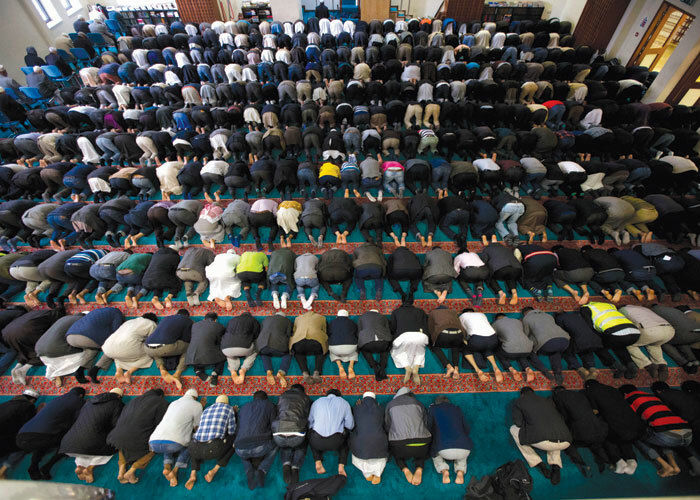 While a number of Muslim associ­ations expressed reservations of the initiative, Waltham Forest Council of Mosques in East London — one of the most ethnically and religiously diverse boroughs in London — an­nounced an outright boycott of Pre­vent. “Prevent is an ill-conceived and flawed policy. It is racist and overt­ly targets members of the Muslim faith,” a statement from the council said. According to estimates from the Office for National Statistics, Waltham Forest in East London is home to about 280,000 people, some 60,000 of whom are Muslim. Waltham Forest Council of Mosques spokesman Irfan Akhtar described the borough as a “testing ground” for Prevent, warning of the dangers of the government’s counterterror­ism initiative. There are also questions regard­ing how teachers or doctors can be expected to differentiate extremists from moderate Muslims, particu­larly when the “signs of radicalisa­tion” used by the government are so broad as to include boys growing a beard, girls wearing the hijab and even students becoming more stu­dious. “The teachers we spoke to are re­luctant to get involved with Prevent because it is not their job to spy on their students. It breaks down the relationship of trust that is needed in the education sector,” Akhtar said, adding that the Waltham For­est Council of Mosques had been in­vited to talk to the borough’s teach­ers’ union. While the Waltham Forest Coun­cil of Mosques, which represents at least eight mosques and religious associations, has announced a boy­cott of Prevent, figures from the Na­tional Police Chiefs Council (NPCC) indicate that many other mosques across the country are refusing to engage with the anti-terrorism ini­tiative. A report published by Britain’s Times newspaper in late December indicated that less than 10% of Pre­vent referrals were from within the Muslim community. Of the 3,288 referrals to Prevent in the first half of 2015, 280 — 8.6% — came from within the Muslim community, data released by the NPCC indicated. The remaining referrals were made by public bodies, such as schools and social services. But in a complex situation, even these figures are not without con­troversy with the NPCC subse­quently coming out to challenge the report. “The figures may not accurately capture the nature of the original source because in many cases members of the community will report in the first instance to the police,” NPCC spokesman Chief Constable Simon Cole said. Questions also remain about the narrow scope of the figures, with the NPCC yet to release data for the second half of 2015, which would coincide with the Prevent Order and statements from Prime Minis­ter David Cameron directly linking terrorism and non-violent extrem­ist ideology. Still, for one East London mosque authority, there is sufficient cause not to cooperate with the govern­ment and boycott its anti-terrorism strategy. “It scares the children about practicing their religion for they think they could be flagged up as an extremist. We want to get rid of the stereotyping,” Akhtar said.